New York’s got an abundance of almost everything, but engineers are increasingly a precious commodity. But the NYC Turing Fellows Program is revving up in its second year to really take on the problem and start feeding more tech talent to the exploding startup scene. 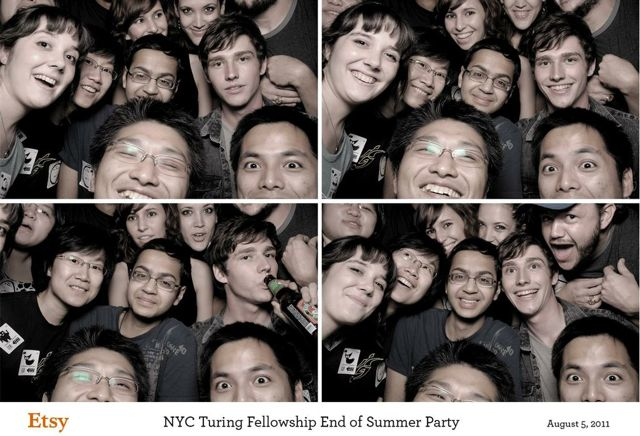 The Turing Fellows Program last summer placed 19 college interns out of 750 applicants at New York startups including Tumblr, Foursquare and others. Now, the paid internship program is expanding, and will place around 25 to 30 engineering, mathematics or computer science students at startups this summer. The application process, which quietly began earlier this month closes on Feb. 6. 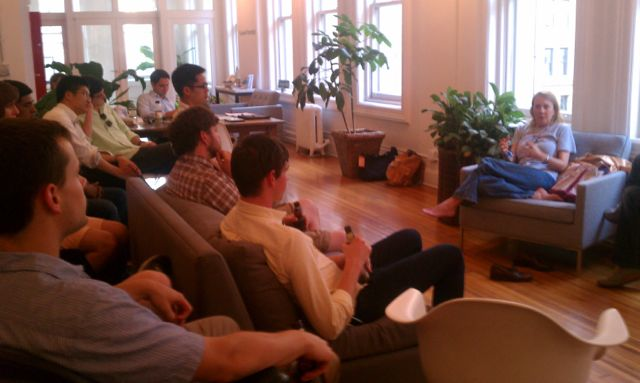 The program is co-organized by Canaan Partners, FirstMark Capital, Tribeca Venture Partners and First Round Capital. This year’s crop of startups include Etsy, Second Market, BuzzFeed, Blip and many others. Other supporting partners include Amazon(s amzn), SV Angel, David Tisch of New York TechStars, Silicon Valley Bank, and Esther Dyson, along with the New York City Economic Development Corp. and the New York City Investment Fund. Warren Lee, general partner at Canaan Partners, told me New York is increasingly seeing more startups who are pulling in a lot of funding. The startups involved in the program have collectively raised half a billion dollars. But it’s a struggle to get talent, especially with so many companies popping up here. Startups taking part will be offering paid internships to the students, who will also get a $5,000 fellowship prize at the end of the program. 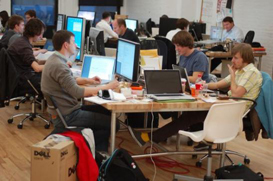 Last year, 95 percent of the startups offered jobs to their interns, said Lee. “I think this year startups realize it’s so competitive to get engineers and developers, even getting some help for the summer time, that’s something worth spending money on,” Lee said. He said the program tried to pick a diverse group of startups that spanned advertising, mobile, e-commerce and financial technology to give students different opportunities. This year, he said the students will also get more educational and academic programming, including talks from influential entrepreneurs and investors. So far, applications are 25 percent ahead of where they were at this point last year, when less than 3 percent of applicants were ultimately selected. The finalists will be flown in for interviews in late February, with final selections made a week later. Unlike last year, Lee said the startups will also get information on the semifinalists, giving them leads on talent who may be interested in moving to New York. The program highlights the ongoing efforts by the New York tech community to address one of the biggest challenges it faces in becoming a tech hub that can compete with Silicon Valley. The city has traditionally had a shallower pool of engineers, and many of the existing workers were deployed in the financial sector. But the city is accelerating plans to attract tech talent through a number of initiatives, including a new applied science engineering campus that will be built by Cornell and the Technion-Israel Institute of Technology. NextJump and Nasdaq sponsored the Silicon Alley 500 last year, a job fair bringing together more than 500 top engineering students together with 50 local companies. And hackNY has also been helping place students with startups. If New York wants to rival Silicon Valley, something Mayor Michael Bloomberg has publicly stated, it’s going to have to become more of a hotbed for tech talent. That’s the end game, making New York seem like as natural a destination as Silicon Valley for smart engineers and developers. One internship won’t solve the problem, but raising the visibility of New York on college campuses can have some much bigger effects, including building a bigger talent pipeline for the city. You can try what you want, but New York City will never be an attractive tech location. Rian – but it already is… Persons said the same when Stanford University was being built. The founder wanted to create a Harvard in California – and eventually got people from MIT to help (hence the technology focus). Nothing happens in a vacuum.